Farmers living in flooded areas of east Co Galway and Co Offaly say water levels in the River Shannon are dropping. However, thousands of acres of farmland are still under water and families who have been forced to leave their home are still unable to move back into them. IFA Connacht Vice-President Michael Silke says the situation has improved over the past 24 hours, but there are fears that further rain could yet cause more problems. Families living in the Ardrahan area of Co Galway - where there has been further heavy rain - say they are remaining on high alert as they fear they could yet have to abandon their homes. The Shannon basin between Ballinasloe and Portumna, Co Galway, and at Shannon Harbour, Co Offaly, has seen a steady fall in flood levels over the past two days. 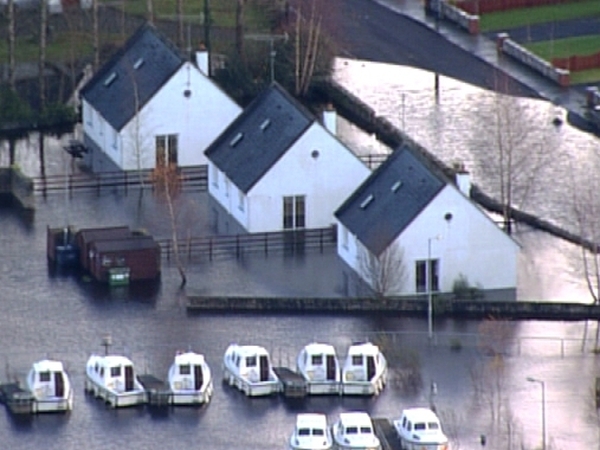 But families, who were evacuated their homes in Shannon Harbour, said their houses are still flooded to a depth of almost 1m and there is no immediate possibility of them returning to them. 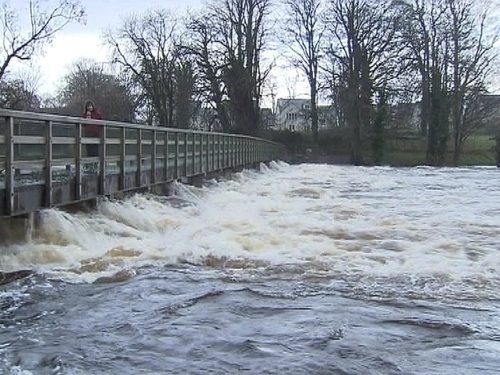 Flooding has receded in some of the worst hit areas south of Gort in Co Galway but two villages near Ardrahan, Killamoran and Ballyglass, are still on high alert as flood waters there are still rising and threatening a number of homes. A key section of the main Galway to Limerick road at Kiltartan, which had been seriously flooded, has re-opened, ending major traffic diversions and difficulties for motorists. However, many minor roads in north Co Clare and south Co Galway are still flooded and impassable. The ESB said that the water level in Lough Derg has dropped by a further 5cm in the past 24 hours. It says the situation remains unchanged on the Shannon and the rate of discharge from Parteen Weir has remained the same. Elsewhere, flood levels along the River Liffey are receding slowly but water levels remain high at Poulaphouca Reservoir. Separately, a woman in Ballinasloe, Co Galway, has set up a website to assist people affected by flooding. is asking individuals and companies to offer services or other forms of support. It is not asking for financial donations. So far, through the website, people have offered furniture, accommodation and their time to help the victims of flooding.